Recently, I have been obsessed with makeup. I don't know what has come to me but I have been creating looks day in and out. If you came from my Instagram, I have mentioned that I am currently using powder foundation. The search for a high coverage and affordable powder foundation with lots of recommendation was difficult. I spent days researching. Went to Sephora, bought Tarte's loose powder and ended up regretting my $50+. I then decided to stick with what I was comfortable with, which was MAC's and purchased Studio Fix Powder Plus foundation. As we all know, MAC is not exactly famous for it's non cruelty factor. It is always nice to have something vegan and cruelty free. It is even better to know that the product that I am using is halal. When My Little Cocoon first contacted me and told me about a brand called Khadija, I was excited to learn more about it. 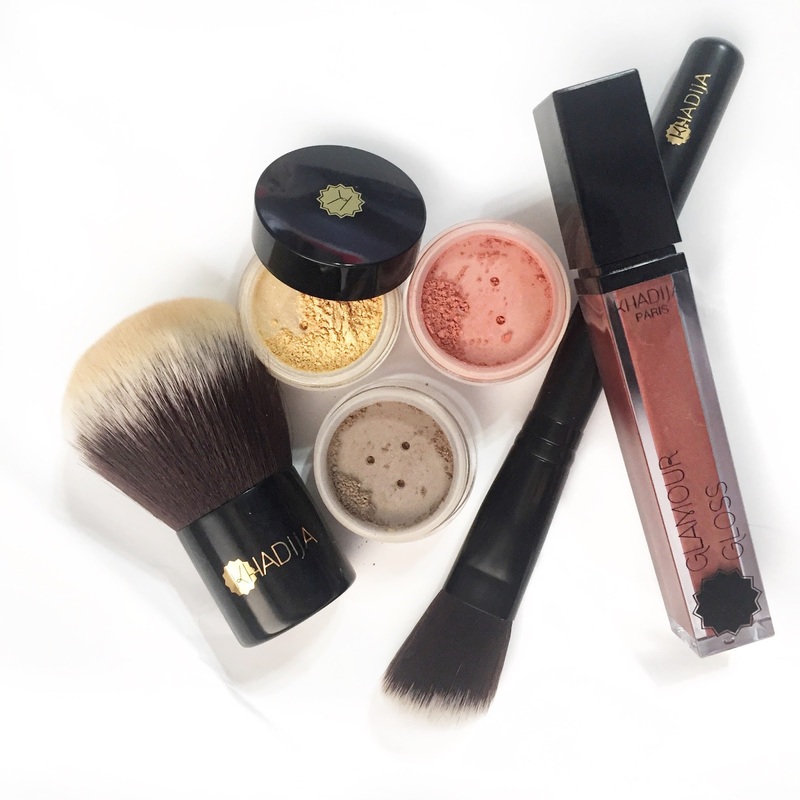 Khadija Cosmetics is a company from France which prides itself for producing 100% natural and vegan makeup products ranging from face to tools. Khadija Cosmetics are also certified halal by the Halal Authority Board, one of the strictest and world wide known halal certification bodies. My Little Cocoon brings in five foundation shades to Singapore. Namely shade 9, 11, 13, 16 and 21. I use shade 11 and for reference, I am a MAC NC30. The foundation is a shade darker than my normal foundation but it is nothing highlighting can't fix. The foundation is medium to full coverage. Khadija Cosmetics have a kabuki brush meant for applying the foundation but I am still not comfortable using it yet so I am using my favourite face brush, Sigma F80. I find that by pushing the foundation into the skin, I get a lot more coverage. 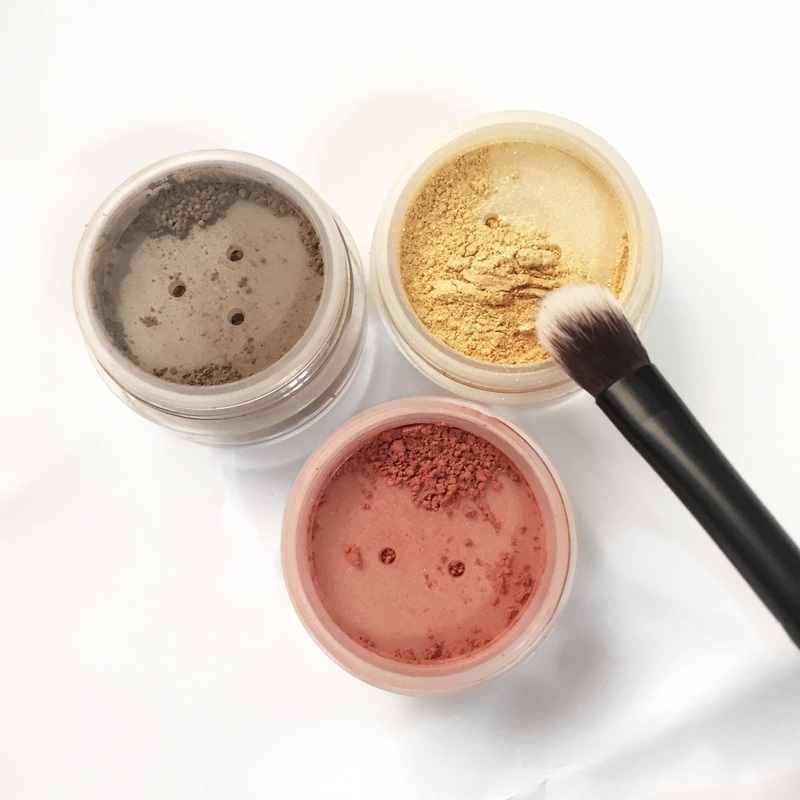 At $38.20, the Khadija mineral foundation is value for your money. I have also tried several of the loose eyeshadows and I must say that I am pretty impressed. The colour pay off is certainly pigmented and it was smooth and easy to blend. I used the pink shade all over my lids and crease, the gold glitter shade on the center of my lids and the brown as a contour shade. I like that the brown has more of a grey undertone which makes it a shadowy colour great for the cheeks. The pink pigment is actually a blush colour but who says you have to use one product for its specific purpose? Online, My Little Cocoon has three shades of eyeshadow but if you drop by their office, you can view and swatch more colours. My favourite has to be that gold glitter pigment. Simply wet your brush and get a crazy look out of it. I have not used the lip gloss in a look but I have tried it on and it is not sticky as the brand claims. I will probably use it as a lip topper over a lipstick shade of my choice. My Little Cocoon carries five shades in total. I threw in a shameless selfie to show you what I achieved with all the Khadija products I have used from My Little Cocoon. My Little Cocoon is spearheaded by two friends, Eri & Aishah. They are passionate about sharing and spreading the awareness of Cruelty Free & Halal beauty products in Singapore. They believe that animals should not suffer and die to test cosmetics or their ingredients in the name of beauty. My Little Cocoon is not just skin deep. Through their exciting beauty events and give-back programs (Cocoon of Hope Initiatives), they are able to bring together ladies from different walks of life to discover and explore beauty from both angles- inside and out. Talk about beauty from deep within! Through the Cocoon of Hope Initiatives, My Little Cocoon gives back to the society by providing empowerment talks for women, animal care etc. FYI, My Little Cocoon is the pioneer in bringing in FCC Cosmetics to Singapore! On the 29th of April, My Little Cocoon will be having an event at The Colonial @ Scotts. There will be makeup tutorials using the Khadija foundation for different skin tones. So if you are fair or dark, be assured that everything will be covered. Also, there will be many products from the different brands that My Little Cocoon carries which makes shopping easier that day. You can swatch the colours and test which products suit you best! Tickets are priced at $25 per person and there is a group discount at 15% off if you purchase a minimum of 3 tickets. Look good, feel good. I feel like that is the direction of this event. We'll meet people who are just as passionate about makeup as us and giving back to the community.